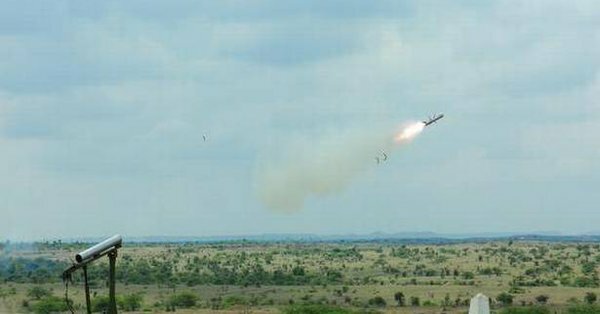 BiznextIndia: In a major boost for the Indian Army, the Defence Research and Development Organisation (DRDO) today successfully test fired indigenously developed, low weight, fire and forget Man Portable Anti-Tank Guided Missile (MPATGM) for the second time today in the ranges of Rajasthan desert. MPATGM is incorporated with advanced features including state-of-the-art Imaging Infrared Radar (IIR) Seeker with integrated avionics. The first test was conducted on 13th March 2019. In both the missions, the missiles hit the designated targets precisely at different ranges. All the mission objectives have been met.